Often we see specifications that call for an epoxy floor and cove base. Most specifications will detail the epoxy floors, application procedures and application thickness. Unfortunately, many specifications will not detail what is required for a cove base. There are numerous options for cove base and when left open to interpretation can cause confusion and you as a customer not getting what you were expecting. One type of cove base is just a “painted-on” epoxy base. The only real purpose of this is for aesthetics. When you want your accent cove to match the floor this is the type of cove base you would specify. We do not consider this a real cove base and always try to clarify if this is the type of cove base someone is expecting. The most popular style of cove base is one that I refer to as a “standard radius” cove. This is usually applied at 4” in height and approximately 1/8” in depth. It will be hand troweled along the wall creating a radius between the floor and the wall. It is important to specify if you would like this installed with a cove strip at the top or with a tape line. It is also important to specify if you would like the cove greater than 4”. One other type of cove is called a “cant” cove. This cove uses quite a bit of material and therefore is expensive to install. 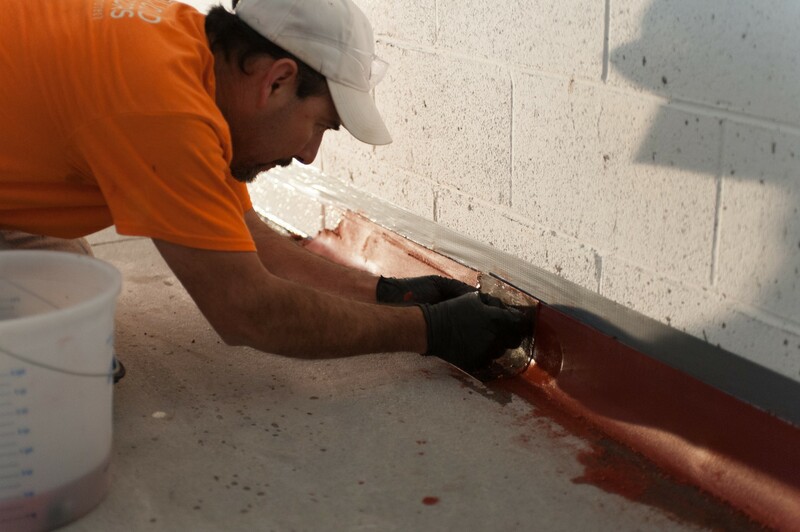 The cove is installed at 2” – 6” in height and then applied at a 45 degree cant to the floor. This insures that liquids do not sit at the base of the wall and floor. If you have any questions or need help specifying your project, call us at 704-543-7565 or email at info@liquidfloors.com.